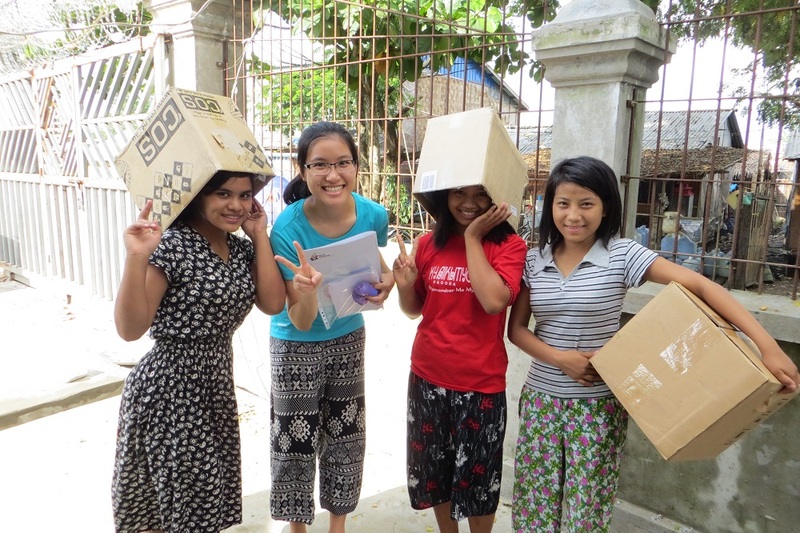 Jasmine To Secondary Student This Myanmar mission trip is the best eye-opening experience I have had. I was one of the youngest volunteers. Interacting with the local children, even with the simplest games, brought so much joy and fun to the Children’s Home. Their environment is not that satisfactory, yet they seemed so happy and cheerful. I am thankful that I could get out of my comfort zone. Throughout this trip, I learned to treasure more of the things I have. Tin-hang Wan University Student It was a very memorable first time in Yangon for me. I enjoyed interacting with the children over the span of two weeks. They are so lovely and full of smiles! Even though there is a language difference, I learned to express myself more with actions and the Burmese I have learnt from them. The children are very obedient and responsive; teaching them English in our interest classes was an enjoyable experience! Ju Fang Wong (mother of Kai Yan Leung) Housewife I am very happy that I can join this volunteer trip to Myanmar. More than just taking photos, I truly want to care for them and understand them one by one. Especially this time when I went together with my 2 daughters, I wanted to let the children experience that we can live withone another like a family too. I’m thankful that I can have such experience in this trip and I hope to visit them again soon! Kai Yan Leung (daughter of Ju Fang Wong) University Student This was my second time visiting the Children’s Home. My heart felt warm and pleased when the children took the initiative to share their song books and what they had learnt in the music class with the children in the neighbourhood community. Not only did they show gratitude when they received, but they also have the heart to share what they have and what they know with others. Lois Lu (Medical Team) Medical doctor, Taiwan In Yangon, I met fellow volunteers from different countries. We learned how to deal with challenges as a team. We had a wonderful time talking and playing with kids at the children’s home. We also had the chance to learn about the culture and lifestyle of the locals, as well as their basic needs. It’s a rewarding experience and I’m grateful for the opportunity to volunteer abroad. Paola Seow (Medical Team) Nurse, Singapore I have always believed that love can transcend all boundaries, and that language not the only form of communication. The short 6 days spent at the children’s home proved just that. What I treasure most is the genuine interaction between us and the children, and how all the volunteers put their souls into understanding them (and vice versa) despite the language barrier. Watching and knowing the amount of effort everyone put into sustaining this project moved me too. Fiona Leung (Daughter of Ju Fang Wong) Medical Team Nurse, Singapore I am a fresh graduate nurse and is part of the medical team in this Myanmar trip. During the medical consultations, I performed primary assessments on the children’s chief complaints at the triage station. I realize that equipping ourselves with simple medical terms in Burmese is very important, as local translators were not always available. Speaking Burmese is also a way to build rapport with the children. When the children sensed that we truly care for them, they were willing to share their personal health concerns. The culture and living conditions in Myanmar are very different from ours. I learnt to understand the meaning of health from their perspective, adjust my expectations and give appropriate advice to the locals. Join us this festive season for a meaningful Christmas! Check out our upcoming FREE Tuition Programme!